Preparing college graduates for careers in financial services requires a broad based education grounded in a commitment to liberal learning. By completing a degree in financial services, the student builds upon the foundation provided by general education requirements coupled with the business core and twenty-seven hours of course work defining the major. 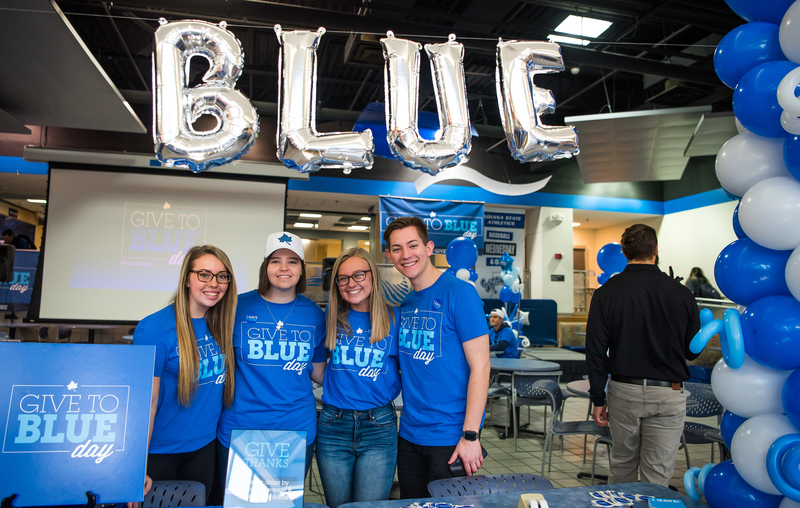 The major requires all students to complete an overview of financial services with specific course work in the areas of financial institutions (banking), investments, and insurance with a focus on ethical decision making. Sources of return and risk in domestic and international financial markets and institutions are studied in this program. Students in the major then declare a track in one of the four areas associated with financial services. The financial services major is offered by faculty from the financial services disciplines within the Scott College of Business. Using a financial services core of five required courses along with a specialty of four additional courses in either Accounting, Banking, Insurance, or Investments, the student is prepared for a variety of career roles in financial services. The financial services major is built upon the business core curriculum taken by all business majors. 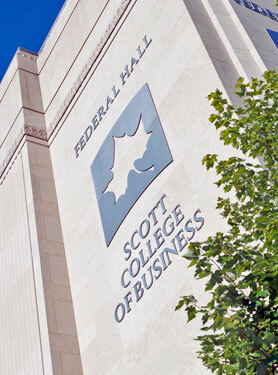 The financial services minor is open to any Scott College of Business major. Building upon the business core curriculum, the minor adds broad coursework in all the areas of financial services. The minor is particularly helpful for those business students who intend to work in the financial services industry but major in a complimentary field such as marketing, management information systems, management, and so forth. In addition, the minor is appropriate for those students who choose to major in a financial services field and who want additional exposure to other areas. The minor consists of the five courses required for the major.